Everyone comes to the history of the NHS from their own perspective. Thus, if you’re over 40 you’re likely to be clueless about Dr Finlay’s Casebook although it was the first peak time BBC original TV drama in the 1960s. And millennials with their perfect orthodontically sculpted gnashers can’t believe their grannies would routinely get all their teeth pulled out and replaced with dentures as a dowry to save on dentists’ bills. That’s why half of Scotland’s population was edentulous in 1974 – nae teeth at all. 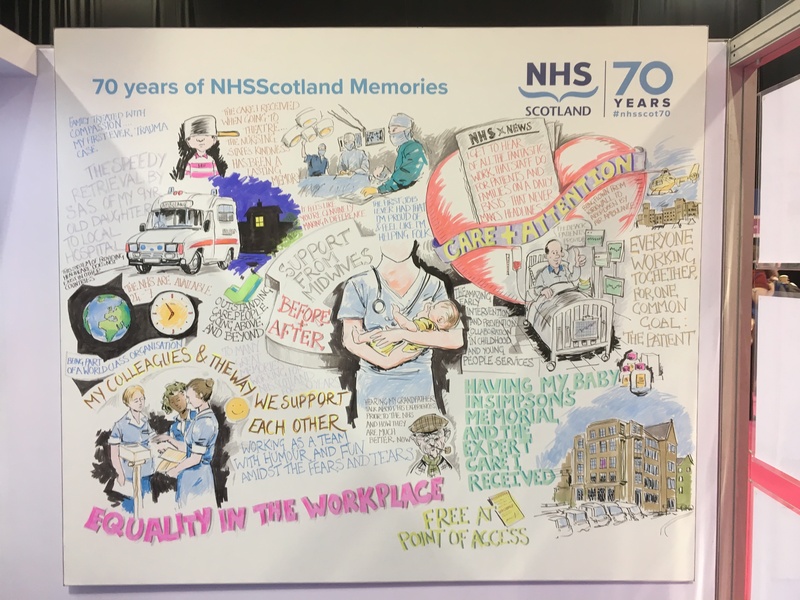 Art is a good way of articulating people’s own stories, as in these boards created at the NHS event in Glasgow last week. And then there’s subject matter, Football doesn’t look promising but there is a surprisingly rich vein to tempt those currently glued to the World Cup finals. In 1982 Scotland was the first non-smoking country in the World Cup finals. 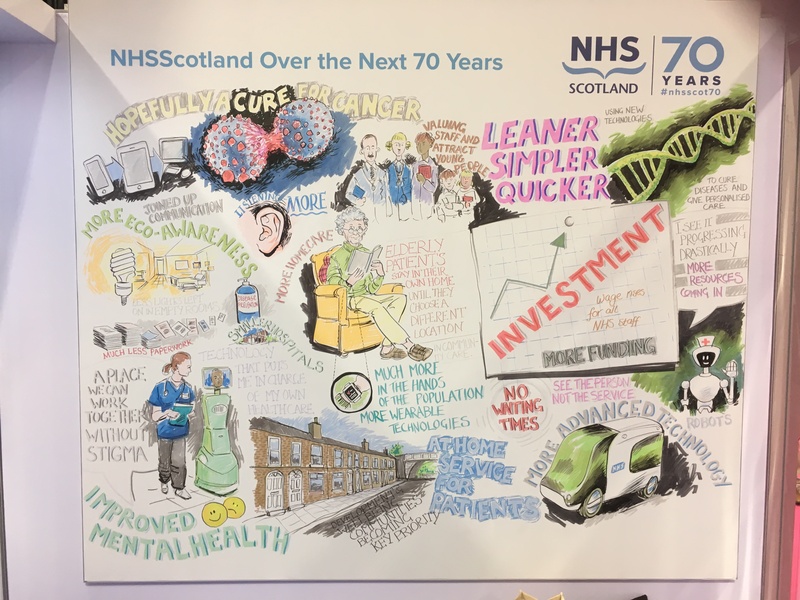 This was largely the brainchild of David Player, director of the Scottish Health Education Group and a tireless public health campaigner, In this brief audio clip (3 min) recorded in 2007. David talks about Bill Shankly, the legendary Liverpool manager Alex Ferguson of St Mirren and Aberdeen before disappearing into obscurity, the deal to sign up the Scotland team (at a cost of £70,000) and the unorthodox sanction Danny McGrain had for any players stepping out of line. Smoking has probably killed a million Scots directly since 1948 and contributed the deaths of many more. The dangers were known in the early 1950s but it took five decades before legislation to denormalise smoking. The Scottish Football Association made the national team do worse things like play a “friendly” in 1977 against Chile in the national stadium where thousands were tortured and murdered after General Pinochet’s coup. Surprisingly, Pinochet turned up as an NHS patient at the Western General in Edinburgh in 1996. His doctor was a personal friend of an Edinburgh consultant and was worried about a lung complaint on a visit to Britain. Pinochet was registered under his other names Augusto Ugarte, given some routine tests and sent to Boots in Shandwick Place for a non-prescription medication. Three years earlier the Western also treated England’s greatest football hero, Bobby Moore. 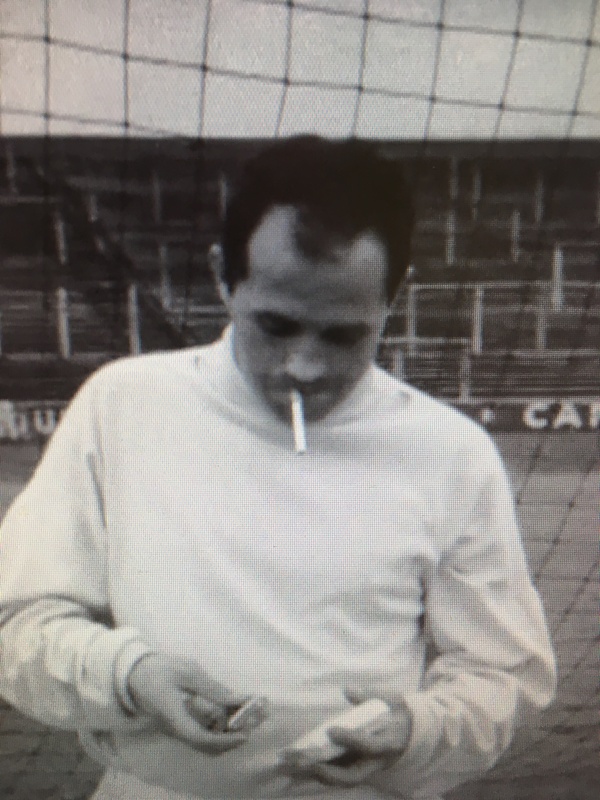 The captain of the 1966 World Cup winners was by definition never a favourite of many Scottish fans. His bowel cancer was initially misdiagnosed but he was offered the chance to take part in a new chemotherapy trial at the Western. Overall several weekends, he flew up and stayed in an open NHS ward. He was recognised by score of nurses, doctors, cleaners and taxi drivers and he cheerfully signed autographs. Throughout that time not a single person cliped on him by tipping off the media. It’s a good example of the best values of decency, respect and kindness we associate with the NHS. A memorial research trust was set up after his death. To mark her gratitude his widow Stephanie made it first donation of £250,000 …..to the Western. When all else fails after 90 years it’s time to throw the kids into battle. Which is why Gullane Primary youngsters were the stars of a new musical premiered this month at the National Museum of Scotland. Next week Hitherfield Primary takes up the baton at the Science Museum in London. 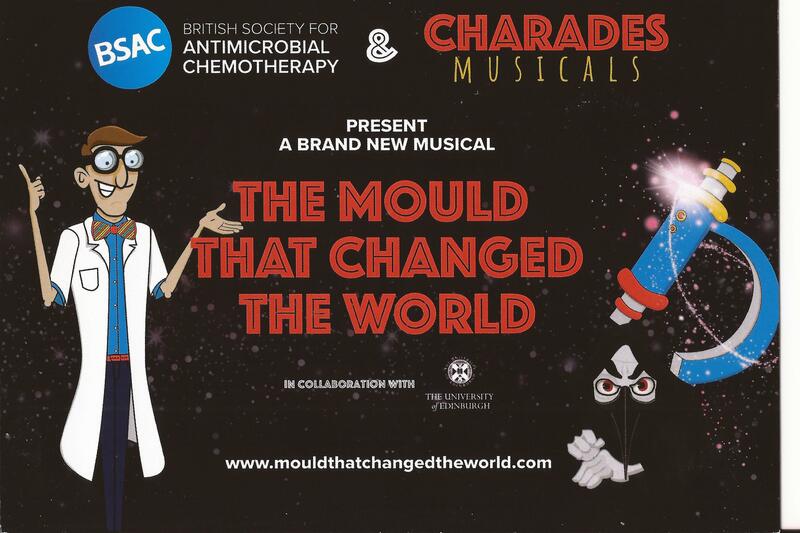 The Mould that Changed the World is a production from Charades Theatre Company which specialises in putting on shows for and by schools. And not many can count on two chief medical officers in the audience: Catherine Calderwood in Scotland and Sally Davies in England. It was written and produced by Robin Hiley with support from James Ross and Meghan Perry. The two shows are one-offs but there a free resource will be available for any school to put on its own production next year. And you can book tickets here for the grown-up version on the Edinburgh Fringe for adults and families running at Surgeons’ Hall. 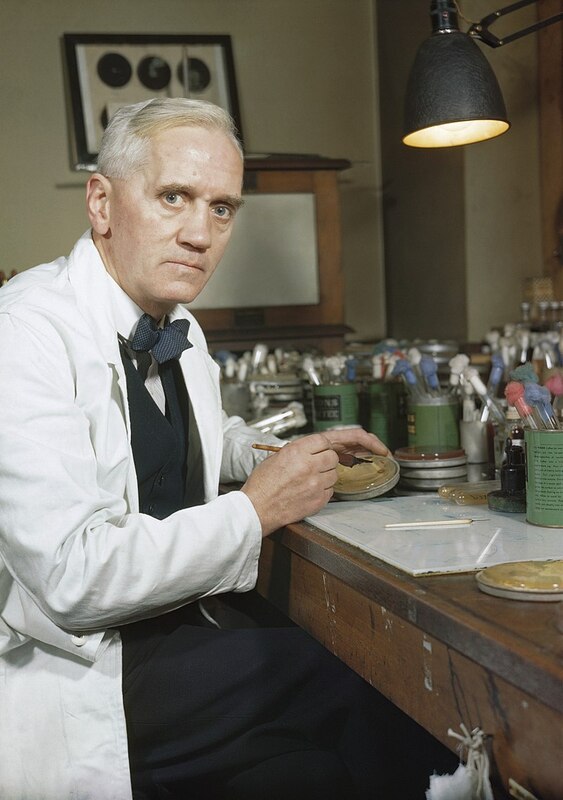 It tells the story of Alexander Fleming’s discovery of penicillin in 1928. It opens with a recent meeting of the UN General Assembly debating the legacy of drug resistance which has rendered many frontline drugs useless. And yes, we’ve already got into military metaphors. The show then switches to France in 1915 when medics were very concerned at loss of life by wound infections. The most feared of these was gas gangrene – nothing to do with poison gas but a horrible death caused by bacteria all too common in the Flanders soil which created blisters of foul –smelling gas. Standard application of antiseptics did little for deeper wounds and often harmed treatment of gas gangrene. Surgeons on both sides could do little. Among the most successful was Frances Ivens, head of the Scottish Women’s Hospital at Royaumont and her colleague Agnes Savill, who achieved a 75 per cent success using the débridement technique to rid the wound of dead tissue. Despite the disgusting destructive effects of bacteria, under a microscope they do have a certain beauty. 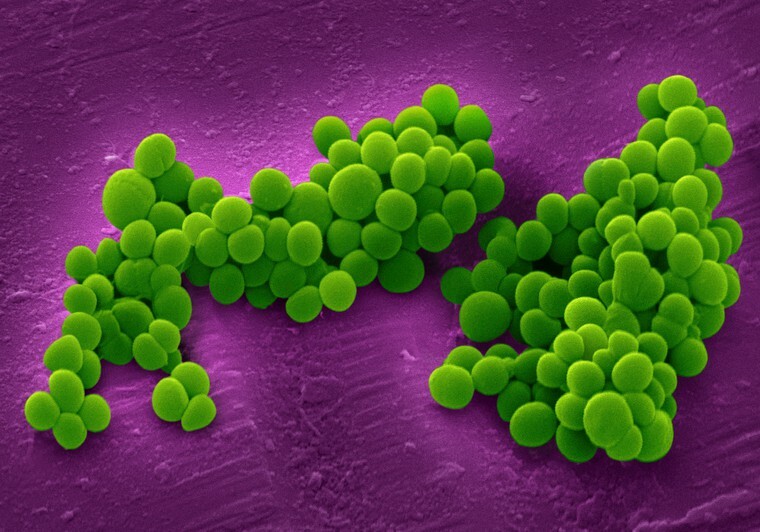 Staphylococcus Aureus translates as “golden bunch of grapes” and was first identified by Alexander Ogston in Aberdeen. Put Methicillin Resistant in front of it and you have MRSA. Fleming was targetting staphylococcus when he discovered penicillin. He served in the First World War in the Royal Army Medical Corps. On the German side there was medical student Gerhard Domagk equally appalled by the loss of life from septic wounds. It was Domagk who produced the first antibiotic to be widely used. Prontosil, derived from a chemical dye, was the first of the sulfa drugs became available from 1935. It was ideal for treating women who contracted sepsis after giving birth, saving thousands of lives. In Scotland it brought a significant reduction in maternal mortality prior to 1939. This decline accelerated between 1940 and 1945. Maternal mortality was almost halved in the war years – thanks to a drug from Germany. Domagk was awarded the Nobel Prize for Medicine in 1939 but Hitler stopped him from collecting it. The Gestapo arrived at his home and kept him prisoner for a week. It was the war which propelled intense UK and US efforts to turn Fleming’s discovery into a practical drug. This was developed by Florey and Chain in Oxford and paved the way for mass production. At the end he also mentions the prospects of a new drug for the tubercle (TB) against which penicillin was no use. Streptomycin arrived soon after. Desperate patients fuelled black markets – streptomycin was illicitly traded outside the Brompton Hospital in London’s Fulham Road and the lethal racket in counterfeit penicillin in Vienna provided the backdrop for the classic 1949 film The Third Man. Ignorant physicians in private practice could prescribe one drug – and then another when that failed due to the bug becoming resistant. The patient could then spread drug resistant bugs caught by others. But the doctor could say everything had been tried…. before the patient died. That changed with Medical Research Council’s streptomycin trial – probably not the first randomised controlled trial but certainly the most influential in shaping what we now know as evidence-based medicine. John Crofton learned a lot from his involvement of that trial at the Brompton. By the time he had moved to Edinburgh two new drugs had become available But no-one knew how to use them to best effect and overcome drug resistance. The radical step was to give new patients all three drugs at the outset. Much to their own initial astonishment they found they were curing virtually every patient. They reported that with meticulous bacteriology to monitor each patient’s progress a 100% cure for tuberculosis was a reasonable objective. Between 1954 and 1957 TB notifications in Edinburgh were more than halved – a feat unmatched anywhere before or since. This became the gold standard treatment in affluent countries. Despite major efforts, however, TB remains a huge problem around the world. Lack of resource and access to treatment, the impact of HIV and the relentless advance of multi-drug resistance means cure across the world remains just a vain hope. How much of this is inevitable? Patients demanding – and clinicians dispensing – antibiotics as though they were sweeties don’t help . Nor does not completing the full course for treatment. Some countries like the Netherlands have controlled it much better. Overuse of military metaphors can oversimplify – medicine and disease are far more complex. Patronising government campaigns like Public Understanding of Science in the 1990s provided just the acronym you need for anti-microbial work. Which is why musical theatre in schools may help. As Gullane Primary showed, it is brilliant fun for children and hugely enjoyable for the audience. The show is actively supported by Antibiotic Action and the British Society for Antimicrobial Chemotherapy. It is the second brilliantly inventive original drama to come out of East Lothian this year following Wonderfools 549 telling the story of four International Brigade volunteers from Prestonpans. Will it work? Joan Littlewood’s Oh What a Lovely War premiered at Stratford East in 1963 but went on through school productions to transform a whole generation’s understanding of the Great War. You can make a drama out of a crisis. Time now to spread the word – not the germs. Few reporters make the ranks of poets. My namesake Hugh Christopher Holme was one of them. As a Reuters correspondent he brought the horror of the bombing of Gernika (Guernica) to the world’s attention. His dispatches triggered an enormous international response, immortalised in Picasso’s painting, and also forewarned of the real truths of Nazi war-making. But Holme was also a gifted poet whose undergraduate works were considered worthy enough to be published alongside those of MacNeice, Spender, and Auden. His poetry relating to the Spanish Civil War has largely remained hidden, although a small selection was published privately for his friends after his death in 1991. Are scratching for fragments of their slaughtered world. Affronts and dulls the moon. To air their civic pride at large. Than they would have chosen to cover up their day. ”Death rained’, ‘Wings darkened the sky”. Of a few not now nor again ever fittest? Quarrying the public square at random? Will dawn into the full sense of what has been done. Where maybe an inkling will make headway. What fires they lit to consume their own homes. What mines they laid to blow themselves up. What lies they told of an air-fleet which destroyed their world. Poem published by permission of Mrs Anthea Holme. Chris was a modest chap so there aren’t that many good photos of him. This one from the LSE library shows him on train – in British Army uniform and I think working in Germany in 1947. Three British war correspondents were sitting down to dinner at a Bilbao hotel in April 1937: Christopher Holme, of Reuters, George Steer of the London Times and Noel Monks of the Daily Express. They were joined by Mathieu Corman, a Belgian working for the French newspaper Ce Soir. It had been an exhausting day. Out on the road that afternoon they had been strafed by German aircraft, a fact which would be significant later on. Around ten, a distraught Basque Government official told them a town some 15 miles away had been bombed and was still burning. They could have stayed on for more drinks and tried to catch up on the story the next day. Instead they followed two classic reporting maxims: they made their excuses and left, then went to see what was happening for themselves. The next four hours were to change their lives and the course of history. The town was Guernica. Holme, by virtue of the fact he worked for an international news agency, was the first to bring the story to the world’s attention. It made the evening newspapers on April 27 and The Herald used his copy the next day under the headline ”Basque Town Now Heap of Ruins”. All four reporters were clear on the basic facts. German aircraft from the Condor Legion fighting with Franco’s Nationalists had systematically annihilated the ancient Basque town in the raid lasting three hours. They came in waves, first dropping heavy bombs and hand grenades, then incendiaries to set the whole area ablaze. Fighters machine-gunned the fleeing civilian population and 1000 people or more were killed. There was no obvious military target, apart from a small factory and a bridge, both of which were untouched. The town was a historic symbol of Basque independence: the home of their parliament and the ancient oak tree where Spanish monarchs used to swear to observe local customs. Air-raid shelters had been dug after the bombing of another town, Durango, at the start of the northern offensive by the Nationalist army commanded by General Emilio Mola. Unlike Durango, however, the devastation at Guernica was complete and the use of incendiary bombs seemed calculated to inflict maximum terror and civilian casualties. It was full of refugees, farmers, and peasants who had come in for market day. The dispatches from Holme, Monks, Corman, and Steer triggered a huge emotional response throughout the world, achieving for Guernica a notoriety far greater than earlier massacres committed by both sides. The Spanish war was already awash with propaganda. Franco was seen by many newspapers as the saviour of the church and country from the terrors of communism and anarchism. Against him the Republic had La Pasionaria and the better writers like Malraux, Hemingway, and Orwell. But they were no match for the straightforward news reporting provided by Holme, Steer, and Monks. Holme’s introduction to journalism was fortuitous. He endured Rugby School, Oxford University and a couple of uninspiring posts before walking into Reuters and asking for a job. A skilled linguist, he was immediately sent to Berlin for the trial after the burning of the Reichstag and later covered the Italian invasion of Abyssinia. None of the British reporters nor the organisations they represented could be described as pro-Republican which made the veracity of their reports difficult to counter. Quite simply, neither Mola, Franco, nor Hitler had envisaged the international backlash or else they thought it would be diverted by the despatches of the journalists following Mola’s army which arrived in Guernica three days later. The Nationalist press office in Salamanca did its best. It was staffed largely by military types, including Captain Gonzalo Aguilera, a Spanish grandee whose mother was a Scots woman named Munro. The Nationalists hectored and bullied correspondents. Even reporting the presence of Italian or German troops in Spain was strictly forbidden: Monks, who like Holme had previously worked from the Nationalist side, had once been hauled before Franco for breaking this taboo and was threatened with a firing squad before being expelled. The first line of defence, that bad weather prevented any aircraft flying that day, was almost immediately exposed as false. Then Aguilera blamed Asturian miners for dynamiting the houses. Even pressmen brought in with Mola’s army confirmed that aircraft had inflicted at least part of the damage. This did not prevent a backlash against the initial four correspondents but, commendably, their bosses stood by their men in the field. Reuters then scored an own goal in another story on April 29 rebutting Franco’s denial of the raid. Holme filed the types of aircraft involved: Junkers 52 and Heinkel 111 bombers and Heinkel 51 fighters, but a sub-editor in London confused the aircraft types for numbers involved. The mistake was corrected within an hour, but nonetheless proved a gift to the German Press. The Frankfurter Generalanzeiger called Holme an idiot and the Nazi Volkischer Beobachter called for his dismissal claiming he was in the direct pay of the Bolshevists. Reuters’ archives show a more sinister threat. Holme had reported seeing an unexploded bomb with German markings at Guernica which attracted the attention of the Nationalist radio commentator General Queipa de Llano. Another Reuters correspondent in Spain reported to London that Holme, Monks, and Steer would run a real risk of being shot if the rebels ever got hold of them. De Llano had been mentioning Holme by name. Holme himself remained unruffled. ”I am not surprised that German official quarters should be upset by the reaction to the destruction of Guernica by German aircraft,” he said in a letter to his managing director. The reasons for the attack are difficult to fathom. For many it appeared to be a dress rehearsal for the Second World War. Colonel von Richtofen, leader of the Condor Legion, and a cousin of the First World War ace, revealed in his diary that he had conferred with Mola’s chief of staff before the raid took place. Whether Franco knew in advance is not clear. In the two years before the advent of the Second World War, visiting Luftwaffe aircrew in London boasted of the attack and the lessons they had learned from it. The scale of the devastation appears to have shocked both the German aviators and Franco, which may explain their desire to cover up. In 1945 Goering is said to have claimed it was a ”testing ground” for Luftwaffe blitzkrieg tactics but Guernica seems to have had little impact in deterring the RAF and US Air force from saturation bombing of predominantly civilian targets. Guernica certainly fuelled calls for re-arming and also galvanised neutral or previously supportive opinion against the Nationalists. After Guernica, Time, Life, and Newsweek all took the side of the Republic. Of the four reporters in the Bilbao hotel, Christopher Holme was the only one not to write a book about his experiences, although he did provide some information in a letter to Herbert Southworth, author of the standard work on the bombing and how it was reported. A modest and self-effacing man, it is perhaps just as well his poems were not published at the time, given Franco’s antipathy towards journalists. He was even less forgiving to poets, like Spain’s greatest, Federico Garcia Lorca, who was shot, almost casually, by Nationalist partisans in 1936. Reporting carried its risks then as it does now. The German photojournalist Gerta Taro, a colleague of the Hungarian Robert Capa, became the first of her profession to be killed in the war four months after Guernica. Holme used his wages from Spain to buy a luxury Lagonda car. He was posted to the Reuters Vienna bureau where he met his wife, Anthea. The car came in handy when the Nazis marched in to Austria at the time of the Anschluss. Neither Holme nor his Jewish assistant Alfred Geiringer would have been safe to stay. They zig-zagged up in to Germany avoiding the direct route into Switzerland in an escape which could have been taken from the plot of The Lady Vanishes. Geiringer hid in the boot when he thought he might have been recognised. Holme went on to become the first assistant director of the Third Programme, and a translator and producer of radio plays. Geiringer provided the expertise that revived Reuters financial information services which were to underpin its news gathering and secure the agency’s later immense profitability. Last year, the German government, after a decade of campaigning by the Green activist, the late Petra Kelly, agreed to pay compensation to Guernica for the devastation caused by Hitler’s bombers. Christopher Holme would probably have viewed it as belated poetic justice. I’ve always thought this is the best photograph of a nurse I’d ever seen. The sheer joy in the midwife’s face is utterly captivating. I first came across it as postcard in the Florence Nightingale Museum at St Thomas’s, as part of a collection published to mark the 150th anniversary of district nursing. It seemed an obvious choice for Catherine Morrison’s book, Hebridean Heroines (which I had the pleasure of editing) about district nurses, mostly highly- trained Queen’s nurses, in the Outer Hebrides. Not only did they help give birth to islanders they also gave life to the island communities. It is reviewed here in the Scotsman. The district nurse featured Catriona MacAskill is one of more than 20 Catherine interviewed for her Manchester University PhD on which the book is based. But it was only last month that I learned that the photographer was Denis Straughan, a great guy and former colleague (Denis on the Scotsman and me a reporter for the Herald). Denis and reporter Russell Galbraith had gone up to Lochmaddy on North Uist in 1961 to interview Dr Alex MacLeod, the GP who did his rounds on horseback. The opportunity also presented to photograph Catriona. It appeared in the weekly Scotsman (sharp eyed cinema fans will recall this on John Lawrie’s table in Hitchcock’s original 39 Steps). The World Health Organisation in Geneva was sufficiently gobsmacked to commission Russell and Denis to go to Africa for a month to provide more of the same. Denis was honoured in 1998 for his lifetime achievement. 46 years on and Denis and Catriona are still going strong. So is the baby. So are Queen’s Nurses. So are the memories of retired nurses thanks to Pennie Taylor. You can get a good flavour of the Hebrides at the start of Catherine’s book by watching the short documentary Highland Doctor, by Hull-born Kay Mander. Another bright spot is that Kay is now being recognised in Hull’s year as City of Culture, thanks to Roger Watson, professor of nursing at Hull University. Hebridean Heroines is published by the Islands Book Trust. Buy directly from them and 100% of the profits go back into the charitable trust’s work to promote the history of Scotland’s islands and communities. And the book was printed by Martins the Printers based in Berwick – Denis’s home town. Shock news – if Scotland is dragged out of the European Union, it could take the best line from the EU anthem with it. Friedrich Schiller changed two lines in his original Ode to Joy poem published in 1785. One of them was “Beggars become brothers of lords” (bettler werden fürstenbrüder). It was changed in 1803 to “All people become brothers (alle menschen werden brüder). This is the familiar version we know today in Beethoven’s Ninth Symphony. This raises an intriguing question. Did Schiller rewrite the line after reading Burns? It was highlighted earlier this year, by John Birkett in a letter published by the Herald and the Guardian calling on Burns and Schiller scholars for help. The actual evidence to date is circumstantial and, frankly, a bit thin. Leading figures of the Scottish Enlightenment exchanged ideas, letters and books with fellow European luminaries like Goethe and Rousseau. Travellers like the Reverend James MacDonald helped spread the word. We know that in 1796 he gave a copy of Burns’s poems to Karl August Böttiger, one of the most influential literary figures in Weimar. We also know that Schiller was up to his lugs in Scottish history at this time, translating and reworking Shakespeare’s Macbeth and writing Maria Stuart, his celebrated play on Mary Queen of Scots which premiered at Weimar in 1800. And does all this matter diddly squat? All writers consciously or unwittingly influence each other. Could there be a legal copyright challenge over the line? Unlikely in the extreme, although evidence from 200 years ago relating to Henry Dundas’s memorial popped up in the Court of Session as recently as 2012. This is about something more profound. Both Schiller and Burns expressed an aspiration for a common humanity. Free exchange of ideas and friendships across Europe date back at least to Thomas More and Erasmus. The Edinburgh Festival took its inspiration from Salzburg. That’s something worth hanging on to…..for a’ that…..
We don’t hear much about the capacity of archives to prolong or even save life. Left gathering decades of dust, we tend to think of them as a health hazard rather than their potential for improving health and wellbeing. A case in point is the psychologist Godfrey Thomson. He was lauded in his lifetime for his work in developing intelligence tests. Thanks to him, Scotland was the first country in the world to test the IQ of every child aged 11 – both in 1932 and then in 1947. These records are now being used to study what impact intelligence has in later life. It’s brilliant because many of those 11 year olds are still alive and keen to participate in the research. Thomson’s achievements faded from memory after his death in 1955. He was a modest academic and IQ tests were then still strongly associated with eugenics. The aim was to improve the quality of the genetic stock of nations or races and it attracted support from left-leaning advocates such as birth control pioneer Marie Stopes. Eugenics in practice led to compulsory sterilisation programmes across the world, and under the Nazis wholesale murder of those deemed to be inferior. Professor Ian Deary and colleagues working on Thomson’s IQ data remained curious about the man himself. Then a phone call led to Deary to jump on his bike and pedal full pelt across Edinburgh to Thomson’s old house which was being cleared. He rescued Thomson’s papers, letters and photographs and saved them the rubbish dump. Much of this material is now on display in a new exhibition. It’s a delight. We learn more about Thomson’s formative years in Newcastle, his PhD (in physics – and the start of his career as a polymath), and subsequent research on statistics and educational psychology. The idea for tests was to spot bright kids from poorer backgrounds (like his own) so they could be supported. Thomson’s work framed the development of comprehensive education in Scotland. He believed the same sum should be spent on every child’s education, testing should not just a one-off and kids should be able to move between academic and practical learning – all still relevant today as grammar schools become the focus of debate in England. 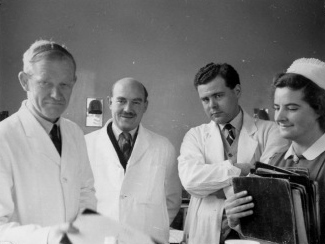 Thomson’s practical support for training Polish teachers exiled in Scotland during the war – in the same way the Polish medical school in Edinburgh trained doctors. He also had an early student fan in 1926 who enjoyed his lively and stimulating lectures –in stark contrast to the numbingly-boring rote learning she experienced at Edinburgh University. This was the young Jennie Lee, who later created the Open University. University had to physically delve deep into Lancashire birth records in the 1980s for their work. They looked at three ostensibly very similar mill towns –Nelson, Colne and Burnley. They were puzzled that folk in Nelson seemed to live significantly longer than in the other two where heart disease struck much earlier. The explanation was that Nelson was the last of the three to industrialise. So the women who gave birth had newly come in from the countryside and were still in relatively good shape and well nourished compared to those poor souls who had for years enduring the gruelling physical punishment of working in a mill. This and further studies in Hertfordshire where midwives had kept excellent birth records led to the Barker hypothesis – that nutrition of mother and baby at the time of birth was just, if not more important, an indicator for premature disease and early death as other factors such as genetics, smoking, and lifestyle. The Thomson exhibition runs at Edinburgh University library until November 29. Catch it if you can or catch up on the fascinating project blog. Health crisis? – let me through, I’m an archivist……. It’s hard to pin down what we actually lose if the free movement of people and ideas diminishes or dies. Scotland’s historic close links with Europe help explain its overwhelming vote to stay in the EU. The buzz we get from exercise….is caused by the release of endorphins, the natural opiates produced in the brain which were first identified by Hans Kosterlitz and John Hughes in Aberdeen in 1975. Kosterlitz had fled Nazi Germany in 1934. The lab team was a sociable bunch – piling into the Kirkgate Bar for a post-work pint on a Friday. Hans used to enjoy a glass of Glenmorangie. He embarked on this critical work well into his retirement from the chair of pharmacology at Aberdeen. How cells commit suicide….a process known as apoptosis, now fundamental to research into several diseases, particularly cancer. It was first described in 1972 by another Aberdeen team led by Sir Alastair Currie who had brought over John Kerr, a bright researcher from Brisbane, Australia to join him and his colleague Andrew Wyllie. Curing tuberculosis…. the world’s first 100% cure was introduced in Edinburgh by Dublin-born Sir John Crofton’s group in 1954. They used all three drugs from the outset and meticulously monitored each patient. The trouble was that nobody initially believed their results. What saved the day was one of the first ever international trials arranged via colleagues at the Pasteur Institute in Paris. Its success in 22 leading European hospitals made the Edinburgh treatment the world’s gold standard for treating TB. Hepatitis B… another of the world’s nastiest diseases. The revolutionary idea of producing a safe, synthetic vaccine through genetic engineering was first hatched over a lakeside lunch in Geneva. So dangerous was the live virus that Sir Ken Murray had to carry out his work in 1978 at the Porton Down germ warfare establishment. Critical to his success were visits to his colleague Charles Weissmann’s lab in Zurich to get a reagent. The patents from this work generated more than $100 million in royalties. Ken was a Yorkshireman who had started out as a lowly lab technician with Boots. He didn’t want a Rolls Royce so he used the money to set up the Darwin Trust to help young molecular biologists in their careers – particularly postdocs from Eastern Europe. At the other end of the scale, there are things that Scotland prefers to forget. Italy’s declaration of war in June 1940 triggered looting and attacks on Italian people in several British cities. The most extensive and vicious episodes were in Edinburgh. Without Polish pilots, the Battle of Britain may have ended in defeat. The Polish Women’s Army played a key role in British uniforms – on exercise here in Gullane. Polish mathematicians were the first to break the Enigma code. And Poland established a whole new medical school in Edinburgh, with the support of Edinburgh and Glasgow university colleagues. There are still exchanges today. Andrew Schally, a young Polish refugee who had fled the Holocaust, completed his high school education in Scotland in 1946. He was a very good footballer and could have made it as a striker for a Scottish or English club. But he had to settle for another career and winning the 1977 Nobel Prize for medicine instead. Rebuilding hope in a shattered Europe….. The Edinburgh International Festival was the idea of Austrian refugee Rudolf Bing who, with the support of Edinburgh’s Lord Provost, had the idea of “recreating Salzburg” in the Scottish capital. The Vienna Philharmonic threw audiences into rapture at the first festival. Bing had a proper job as a partner in John Lewis but he too had to settle for another career in opera management, establishing Glyndebourne and rebuilding the New York Met. And finally…… there’s the European anthem, Ode to Joy, a good recourse at times when all the world seems to offer is one streak of constant misery. The most celebrated line Alle Menschen werden Brüder (All People become Brothers) wasn’t in Schiller’s original poem. He changed it after the publication in 1795 of Burns’ equally celebrated poem which ends with That Man to Man, the world o’er, Shall brothers be for a’ that. Update: One of the three Scots-born Nobel science laureates in 2016 is Michael Kosterlitz, son of Hans.